1. 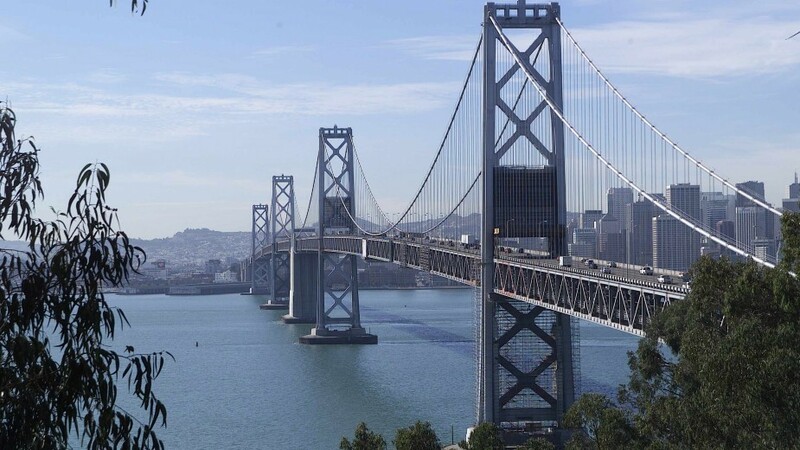 Plans for a proposed bike path on the western span of the Bay Bridge appear to be in jeopardy after Caltrans officials balked at the estimated cost of the project: $400 million to $500 million, the CoCo Times$ reports. Currently, the bike path that starts in Oakland and runs along the new eastern span of the bridge ends at Yerba Buena Island. Bike activists have long advocated for extending the bike path to San Francisco. Caltrans officials say they plan to study alternative — and cheaper — proposals. 2. Kaiser nurses on Wednesday began their second day of a two-day strike, protesting staffing shortages and patient care practices at Northern California hospitals, the Daily Review$ reports. 3. Gas prices in California have plummeted nearly a $1 a gallon in the past six months, reaching an average of just $3.21 a gallon, the Mercury News$ reports. 4. California’s strawberry crop is drenched in toxic pesticides despite state laws and regulations designed to limit pesticide use, the Center for Investigative Reporting reports. 5. And the state’s tomato harvest enjoyed a record year in 2014, despite the drought, the SacBee$ reports.